The National Helium Reserve, is a strategic reserve of the United States, holding over a billion cubic feet of Helium gas. The helium is stored at the Cliffside Storage Facility about 12 miles northwest of Amarillo, Texas in a natural geologic gas storage formation. The reserve was established in 1925 as a strategic supply of gas for airships, and in the 1950s became an important source of coolant during the Space Race and Cold War. Even today, that facility holds fully one third of the helium reserves found worldwide. On August 12, 1960, Echo 1, a 100-foot diameter metalized Mylar polyester-film balloon was successfully put into a low-earth-orbit (LEO). Although it was only a passive reflector, Echo 1 successfully redirected transcontinental and intercontinental telephone, radio, and television signals. As its shiny surface was reflective in the range of visible light, Echo 1 was visible to the unaided eye over most of the Earth. Brighter than most stars, it was probably seen by more people than any other man-made object in space. Echo 1 reentered Earth's atmosphere and burned up on May 24, 1968. Shortly thereafter, some genius married the two concepts, “lighter than air” and “Mylar” to create the now ubiquitous helium party balloon. If you walk into almost any supermarket or drugstore today, you will see variants of the party balloon reaching towards the ceiling on ribbons not unlike those that graced the birthday presents of our childhood. And isn’t “childhood magic” what Mylar party balloons are all about? First, the nearly indestructible Mylar is sonically welded into (let’s say) the shape of Santa Claus. 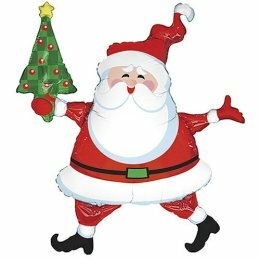 Once filled with helium, Santa can be used to delight young children, as they are naturally attracted to both the myth of Santa Claus and the myth of personal flight. Sooner or later, the helium will migrate out of the balloon, earning the limp and ragged Santa a trip to the landfill. There, the half-life of his shriveled body will exceed even the best preserved hotdog. Assuming that our Santa balloon does hit the landfill, what is the harm? Other than its near indestructibility, Mylar certainly cannot do much damage while buried in the earth. Once our Santa balloon takes flight, you can be sure that the first-time helium balloon owner will cry for the loss of his or her toy. If that child lives in Southern California, there is an entire ecosystem that he should be crying for, as well. That ecosystem is the probable destination of his lost balloon. Having sailed WindSong, our Ericson 35 MkII Sailboat to Santa Catalina Island more than fifty times and having spent almost 100 days combing Venice Beach, California for Frito-Lay wrappers in 2003, I know where puffed-up Santa Claus and his other helium balloon friends go to die. It is known as the Pacific Ocean. Mylar and the balloon’s ribbon each are made from “Space Age Plastics”, thus they do not readily break down in the environment. After Christmas, most balloons that wash up on shore are red or green. After Valentine’s Day, most are red, and heart-shaped. Post Halloween balloon trash features orange jack-o-lantern faces. What is the harm in a few (thousand) balloons washing up on shore? After all, don’t Frito Lay snack wrappers outnumber them on the beach by one thousand to one? Yes, that is true, but what is not often recognized is that the ribbons from the balloons become ensnared in the kelp forests (live webcam) which grow (or should I say, “used to grow”?) just offshore. Once a large kelp plant becomes entangled in half a dozen or more balloon ribbons, it becomes unbalanced and its holdfast will release it into the tidal flow. After each major storm on Venice Beach, huge kelp plants wash ashore, neatly bound up with party balloon ribbons. Through its "Helium Privatization Act of 1996", the Congress of the United States directed the United States Department of the Interior to start liquidating the National Helium Reserves by 2005. As we approach the end of 2007 that is exactly what is happening. Although Helium and oil are valued very differently in the world economy, once the U.S. corner on helium reserves is gone, that position will be lost to us forever. The rapid depletion of our helium reserves coincides with large-scale increases in Helium usage for industrial and medical device manufacturing. So rather than “rationally rationing” the remaining supply, we are selling off our reserves as fast as we can. As with any precious commodity, selling our helium reserves more slowly, if at all, would give the U.S. a strategic advantage in making future decisions about helium markets and usage. So what is the good news? 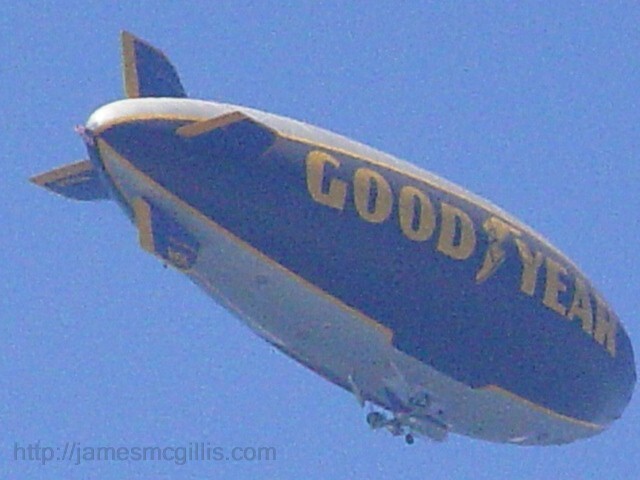 Helium will skyrocket in price, rather than just “floating up” as it recently has done. If the prices double or triple, perhaps we will no longer feel the necessity to entertain our children with objects that float in the air. If we curtail helium balloon sales, the whales, dolphins and other sea life will no longer be tempted to ingest pieces of shiny Mylar. Perhaps, the kelp forests will have a chance to regenerate, as well. March 2012, Author's note: Every helium-filled Mylar cloud, it seems, has a sliver lining. Since release of the Disney Movie, "John Carter", A.K.A. "A Princess of Mars", there is a renewed interest in helium. In the movie, there is a city named "Helium" on the planet "Barsoom", A.K.A. Planet Mars. When Edgar Rice Burroughs wrote the story a century ago, no one knew if there was intelligent life on Mars, let alone an atmosphere that included helium. Although we now know a lot more about Mars, we have learned little about proper use and conservation of our helium reserves here on Earth.